DAVID LE/Staff photo. 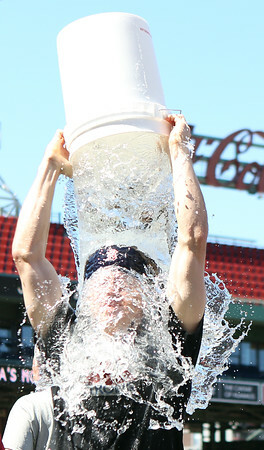 Boston Red Sox all-star utility man Brock Holt showers himself for the second time with a bucket of ice water as Holt and the rest of the Red Sox participated in the Ice Bucket Challenge. 7/31/15.